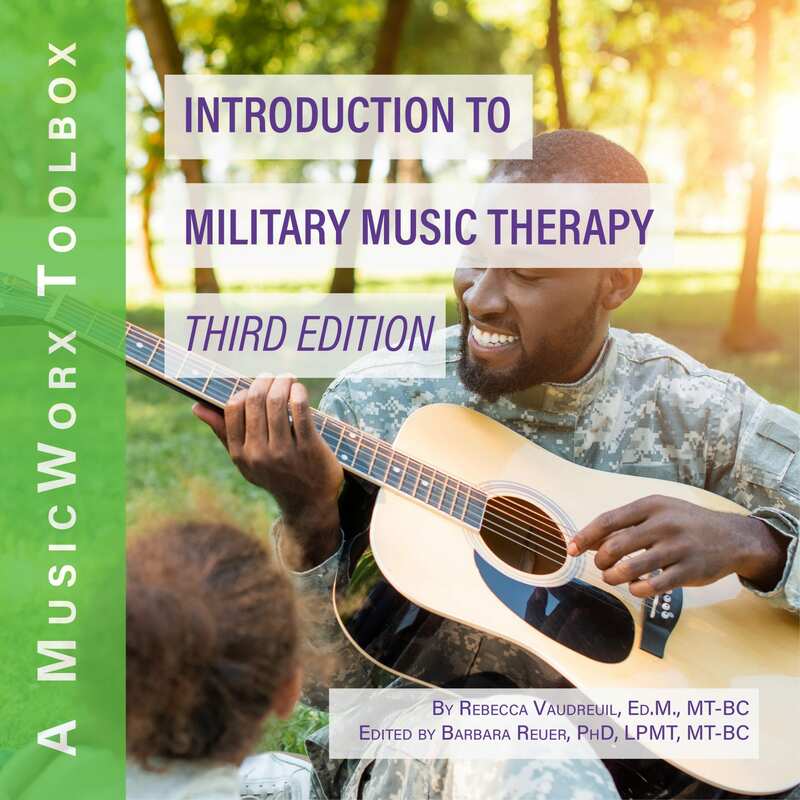 An Introduction to Military Music Therapy Programming: Working With Active Service Members and Veterans, Third Edition is a 2014 revision of the MusicWorx Toolbox CMTE course titled Working with Active Military: A Progressive Music Therapy Curriculum. The author bases content in the third edition upon her numerous years of clienical experience, individually and as part of interdisciplinary treatment teams, using music therapy and neurologic music therapy to assist clients in the rehabilitation of PTSD ( post-traumatic stress disorder ), TBI ( traumatic brain injury ), varying psychological diagnoses, and physical injuries of active, discharged, and retired members of all United States military branches. Considerations of reintegration and transition are included. Coursework covers the prescribed clinical use of music in order to support military–service members, wounded warriors, and veterans. Course materials have been field tested in a variety of military settings, including naval hospitals, marine bases, military treatment facilities, and inpatient residential programs that address PTSD, TBI, and substance abuse. These diagnoses as well as other psychological disorders, reintegration, and military competencies are considered in the context of the session plans that can be used independently or progressively. Lists of necessary supplies and resources provide a creative, flexible, adaptable template for therapists to use in their respective settings. Session 14: What’s in a Name? References to items on the Board Certification Domains are based on the Practice Analysis Study of 2014. Those registered for the Toolbox course An Introduction to Military Music Therapy Programming: Working with Active Service Members and Veterans, Third Edition will develop or improve their abilities to use music therapeutically in a variety of rehabilitation settings, including in–patient facilities and outpatient facilities. Individualize interventions that enhance the effectiveness of therapy. Provide music therapy experiences to address clients' specific needs. 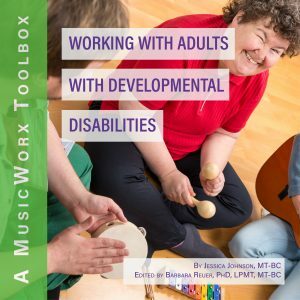 Evaluate how music therapy fits within a neurologic rehabilitation setting. Structure music therapy experiences by creating a therapeutic contour within each session via verbal facilitation, sequencing, pacing, etc. Rebecca Vaudreuil is a Massachusetts native who earned her bachelor of music degree in music therapy at Berklee College of Music in Boston, Massachusetts, and her master of education degree at Harvard University in Cambridge, Massachusetts. A board-certified music therapist, Rebecca has achieved her fellowship in neurologic music therapy and is a neonatal music therapy specialist. For Resounding Joy, she developed the Semper Sound music therapy program, is the director of East Coast Semper Sound programming in the Greater Boston area, and serves as their national military consultant and liaison. Rebecca frequently travels across the United States, lecturing at universities, academies, and regional and national conferences. Her passion for international music therapy has led her to Africa, India, and Japan, and each year, Rebecca visits Jamaica with the Jamaica Field Service Project to supervise music therapy students facilitating music therapy services in hospitals, infirmaries, orphanages, and schools of hope. Currently, Rebecca works at Walter Reed National Military Medical Center and the National Intrepid Center of Excellence, providing music therapy services to returning veterans and their families as part of the National Endowment for the Arts Military Healing Arts Partnership. I was able to use some of the materials from this Toolbox to lobby for them to create a MT position, and now for initial session planning with patients as well. I really enjoyed this course! 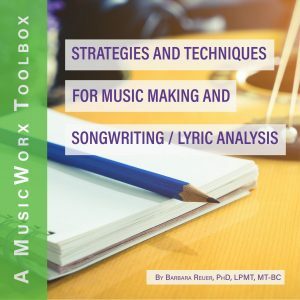 I enjoyed the different ideas I could use during sessions (i.e., the “text talk” vs. “real talk”), the information on gratitude, and the information on vocal improvisation. All the songs will be very helpful and useful in many ways. I just cannot say enough regarding the quality and presentation of the courses that you provide for music therapists. 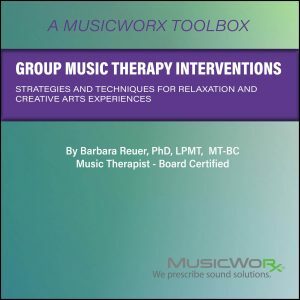 I highly recommend to anyone looking for CMTEs to take any one of the Toolbox music therapy courses. They would not be disappointed. The courses are adaptable to any work setting. It is a pleasure doing business with you, as well.